I have sold a property at 8216 FOREST GROVE DR in Burnaby. QUALITY built by Polygon. 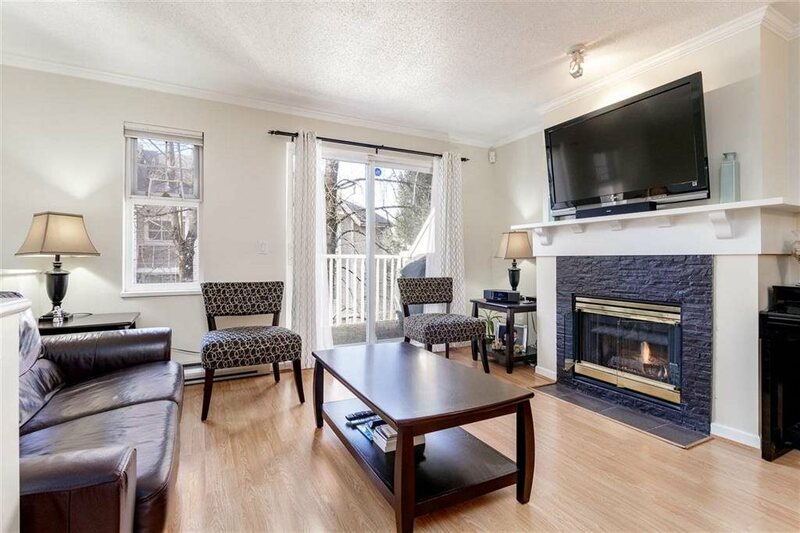 A rare find, Large SPACIOUS Townhome, over 2,200 sf located on a quiet, bright, Park like setting in Forest Hill. Home Features a great layout, SKYLIGHTS, Dark Laminate flooring, updated kitchen w/new cabinetry & S/S appls, plus nice sized eating area w/slider patio for BBQs. LARGE Living/dining area with cozy W/B F/P, Large bay windows & dble sliders lead onto another relaxing 12'x6' sundeck overlooking a greenbelt & creek. 2 1/2 baths, Upstairs are 3 bdrms; Mstr bdrm has 4 pce ensuite. Bsmt has large rec room w/2nd patio, plus loads of custom built-in storage & laundry room. Newer roof & deck. All this in a PET friendly, great family complex. MUST SEE! OPEN HOUSE SUNDAY, NOV 25TH 2-4pm. Please visit our Open House at 8216 FOREST GROVE DR in Burnaby. QUALITY built by Polygon. A rare find, Large SPACIOUS Townhome, over 2,200 sf located on a quiet, bright, Park like setting in Forest Hill. Home Features a great layout, SKYLIGHTS, Dark Laminate flooring, updated kitchen w/new cabinetry & S/S appls, plus nice sized eating area w/slider patio for BBQs. LARGE Living/dining area with cozy W/B F/P, Large bay windows & dble sliders lead onto another relaxing 12'x6' sundeck overlooking a greenbelt & creek. 2 1/2 baths, Upstairs are 3 bdrms; Mstr bdrm has 4 pce ensuite. Bsmt has large rec room w/2nd patio, plus loads of custom built-in storage & laundry room. Newer roof & deck. All this in a PET friendly, great family complex. MUST SEE! OPEN HOUSE SUNDAY, NOVEMBER 25th 2-4pm. QUALITY built by Polygon. A rare find, Large SPACIOUS Townhome, over 2,200 sf located on a quiet, bright, Park like setting in Forest Hill. Home Features a great layout, SKYLIGHTS, Dark Laminate flooring, updated kitchen w/new cabinetry & S/S appls, plus nice sized eating area w/slider patio for BBQs. LARGE Living/dining area with cozy W/B F/P, Large bay windows & dble sliders lead onto another relaxing 12'x6' sundeck overlooking a greenbelt & creek. 2 1/2 baths, Upstairs are 3 bdrms; Mstr bdrm has 4 pce ensuite. Bsmt has large rec room w/2nd patio, plus loads of custom built-in storage & laundry room. Newer roof & deck. All this in a PET friendly, great family complex. MUST SEE! Open Sun Nov 18, 2-4pm. I have listed a new property at 8216 FOREST GROVE DR in Burnaby. Sold QUALITY built by Polygon. A rare find, Large SPACIOUS Townhome, over 2,200 sf located on a quiet, bright, Park like setting in Forest Hill. Home Features a great layout, SKYLIGHTS, Dark Laminate flooring, updated kitchen w/new cabinetry & S/S appls, plus nice sized eating area w/slider patio for BBQs. LARGE Living/dining area with cozy W/B F/P, Large bay windows & dble sliders lead onto another relaxing 12'x6' sundeck overlooking a greenbelt & creek. 2 1/2 baths, Upstairs are 3 bdrms; Mstr bdrm has 4 pce ensuite. Bsmt has large rec room w/2nd patio, plus loads of custom built-in storage & laundry room. Newer roof & deck. All this in a PET friendly, great family complex. MUST SEE! Open House Sun Nov 11th, 2-4pm.